P V Home at the base of Camelback Mtn., minutes from Scottsdale! 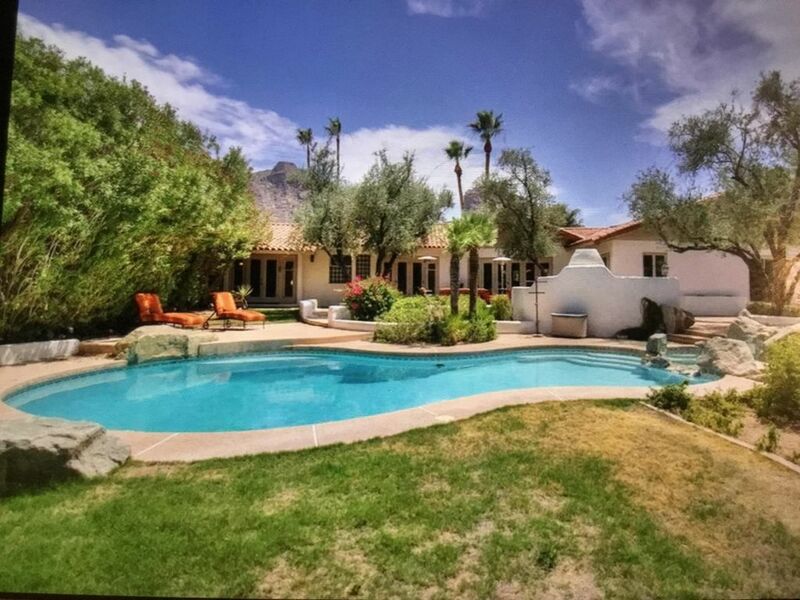 This Santa Barbara style 5 bedroom, 3 bath home is located in the heart of Paradise Valley. Just a short walk to beautiful Camelback Mtn. and minutes away from several golf courses, Old Town Scottsdale, Fashion Square, The Biltmore Shops, extraordinary restaurants and an easy commute to Phoenix sporting events. The open floorplan is perfect for entertaining. The spacious backyard and patio feature a heated diving pool and beehive fireplace and gas grill. Come enjoy paradise! Perfect location and beautiful setting. Owner was extremely gracious and helpful. Close to everything. Would definitely recommend.